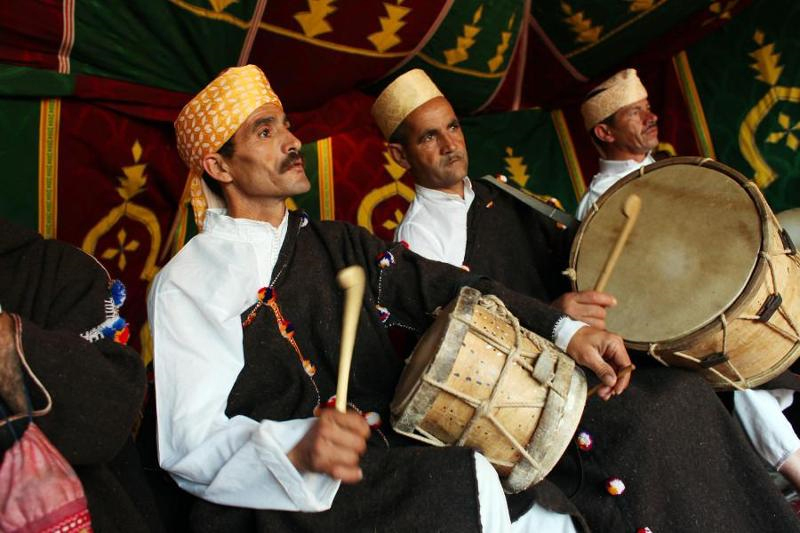 The Master Musicians of Joujouka are Sufi trance musicians from a tiny village in the Southern Rif Mountains. 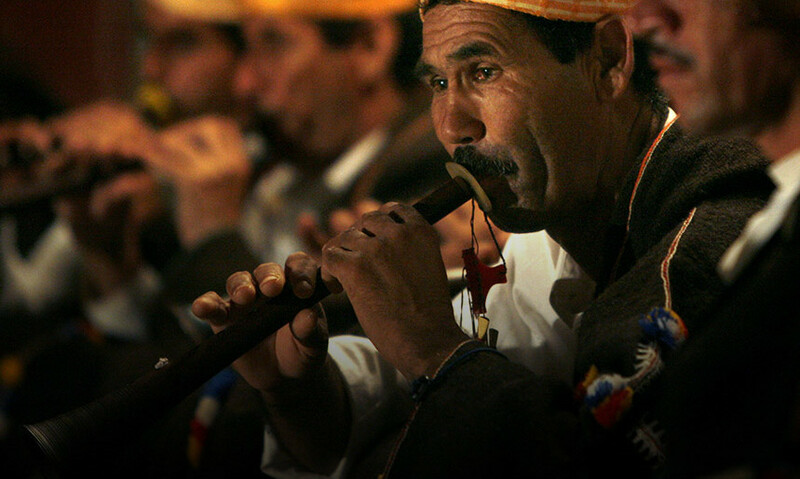 They play a form of trance music which is used for healing. Each year in the village, a boy is sewn into goat skins to dance as Boujeloud, who appears to Westerners as Pan. The flute-playing goat god is the protector of shepherd boys who brings fertility in springtime. 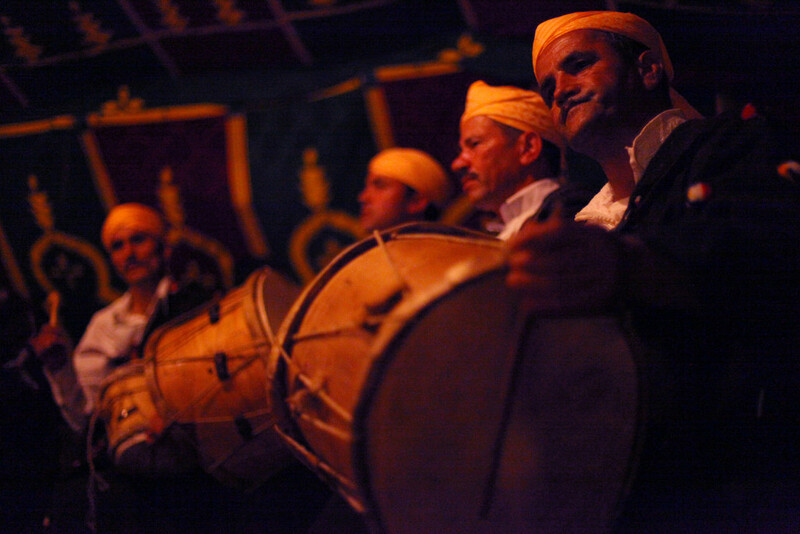 The musicians play ancient music to drive Boujeloud back to his cave. With the beast appeased by their music, they can expect a good harvest. Women touched by his flailing palm fronds will bear healthy children.